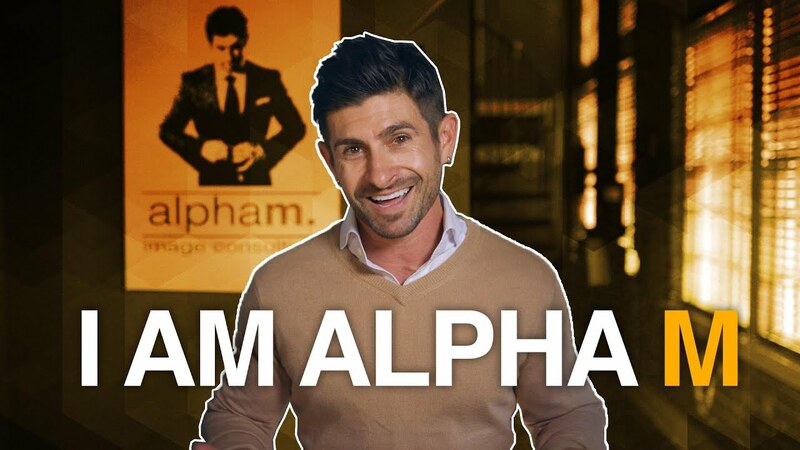 IAmAlphaM is the brain child of male image consultant and men's style expert, Aaron Marino. In 2006, Aaron Marino started a men’s image consulting firm, alpha m. Image Consulting, to help average men with simple common sense advice; aimed to enhance their image, style, grooming, fashion and most importantly their confidence. Aaron Marino has been featured in countless publications, as well as guest appearances on various television and radio programs, both locally, as well as nationally. Throughout the past 13 years, Aaron Marino has worked with thousands of men from around the world, helping them with their personal style, grooming, fashion, image, wardrobe and even dating. Through his weekly YouTube posts, Aaron Marino covers a host of topics in the area of men’s style, fashion, grooming, and even personal responsibility. Aaron Marino has not only expanded his reach with his viral videos but also with a variety of products such as the now retired style system that was featured on the ABC’s Shark Tank. He had a second appearance on Shark Tank with his men's grooming company, Pete & Pedro. The company has been a sensation with the tongue-and-cheek humor. Putting all humor aside, however, these Pete & Pedro products have received amazing reviews and faithful repeat clientele. Other companies that he owns include Tiege Hanley, MENfluential Media, MENfluential Conference, and Ollie. He is also the author of the best selling e-book The Male Style Guide, The Confidence Course, and The Virtual Consultant Training Foundation Program. To ice the style cake, IAmAlphaM was launched as a men’s life, style and personal development zone. IAmAlphaM is THE source for all things men's style, grooming, and fitness. The site features over 2,500 original videos and articles. Bottom-line is that Aaron Marino and IAmAlphaM don't sell products, we sell confidence. Step inside the world of alpha m. to unlock your true potential and get more out of life than you ever dreamed possible.